Available in copper green patina, copper brown patina or brass. Ready to post within 5 working days. We use National Post priority trackable service. It takes 3-5 working days for delivery in EU countries and 7-20 working days to USA and Canada. 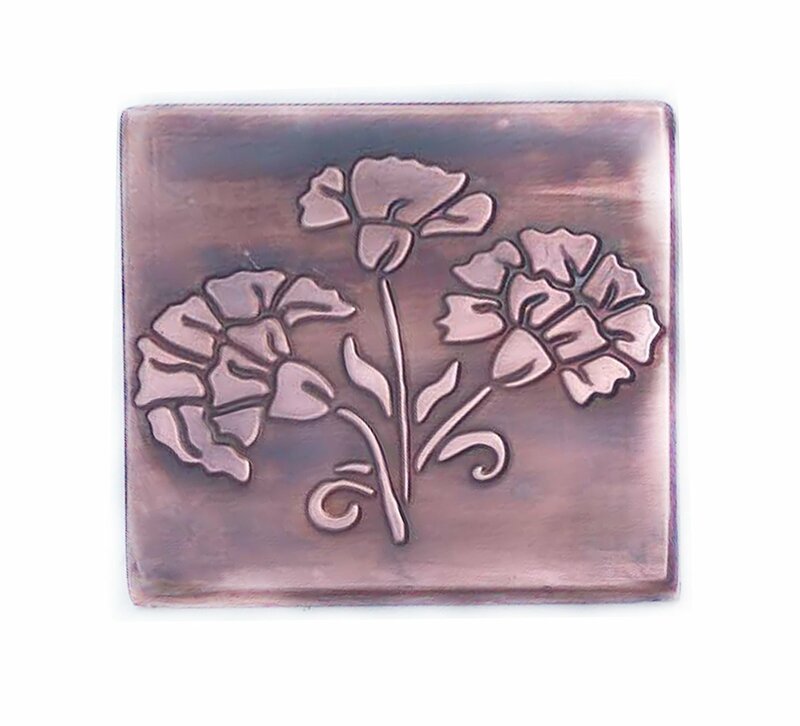 Every copper tile we make is handcrafted from raw copper thickness 0.57mm ( .020") the same as for roof use. Its very hard, strong and durable. We use Renaissance Wax British Museum quality microcrystalline wax to protect our patinated tiles. Copper will slowly and beautifully age over time. Soft cloth, mild soap and lukewarm water is best for cleaning. Certain foods ( ketchup, mustard) and acids may cause changes to the color. Apply wax once a year if you wish to slow ageing proccess. We do not laquier our products. We are committed to making a beautiful long lasting product by the most environmentally friendly process possible. Metals are among the most recycled materials there are. They have a high values and they are easy to reclaim and reuse. Our tiles have a high recycled material content and 100% of our scrap is reused or recycled. One of the most overlooked aspects of green consumerism is longevity. In the long run the greenest product is often the one which lasts the longest. Copper lasts practically forever !